Data center cooling trends are shifting. For the majority of traditional data centers, the environmental operating conditions have been long been based on ASHRAE recommendations defined in the “Thermal Guidelines for Data Processing Environments”, which was first published in 2004. With each succeeding edition, the facility environmental envelope ranges have broadened. These broader ranges have allowed the facility operators the opportunity to improve their cooling energy efficiency. 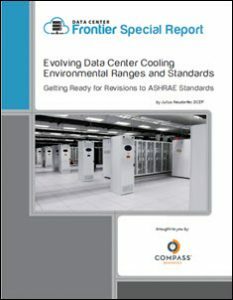 The industry reliance on these ASHRAE guidelines has allowed data center facility managers to consider increasing the operating temperatures and adjusting the humidity ranges to save energy, while considering any effects on IT equipment reliability. This whitepaper will examine the underlying relationship of temperature, humidity and energy usage, as well as the operational risk considerations of the expanded environmental ranges on both the facility and the IT equipment. It will also examine the existing issues of the ASHRAE 90.1 standards and the potential impact of the pending ASHRAE 90.4 standard, which is now in its 3rd review for public comment and is also expected to become effective in the fall of 2016. 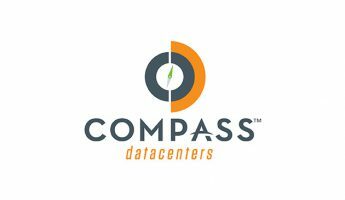 Download the special report from Data Center Frontier, courtesy of Compass Data Centers, to lean more about how data center cooling ranges and standards are evolving.